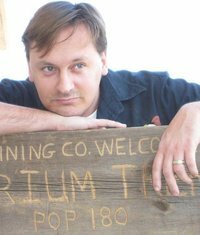 Hey all, I’ll be appearing at the Weird West Fest in Giddings, Texas next weekend, December 14th (it was originally this Saturday the 7th, but the whole shebang has been rescheduled due to inclement weather). I’ll be on the weird western panel from 2-2:30, and the HWA panel with Karen Lansdale (HWA founder and wife of Joe R. Lansdale) from 3:00-3:30. I’ll be hawking books all day as well somewhere among the vendors, so if you’ve got the money, I’ve got the time (or just swing by for an autograph or to say hi). Should be a cool convention, as the lions share of it will be taking place in a restored 1880’s Train Depot and all of the Lansdales will be around, including Joe R., whose work my readers will know is a big inspiration for Merkabah Rider and a lot of what I do. Today marks what would’ve been the 107th birthday of my all-time favorite writer and chief influence, Robert Ervin Howard, the creator of Conan, Solomon Kane, and a slew of others, and the father of the sword and sorcery genre. Howard was an extraordinary writer and sometime poet who took his own life before he had the chance to truly blossom or gain the recognition he deserved. He never knew fame or steady success in his lifetime, but he accomplished enough to still resonate with fans all over the world to this day, including myself. There is no greater writer of sword swinging action in my opinion. Writing is a kind of alchemy, and the best practioners find a way to string base, everyday words together into a mystic formula that shines golden on the page long after the author is dust. The best parts of his stories enflame the spirit and plunge the imagination down lustrous, vivid paths. Howard was a man out of time and place, who dreamed of the past and idolized it, who could look at fields of churning oil derricks and see groaning monsters, who turned liquor store bullies into barbarians and saw dragon fire in the sun over the West Texas hills. He partly believed his own stories I think, saying they were merely related to him by individuals who existed somewhere, sometime. It’s his own belief in the worlds he is responsible for bringing to light that make them so enduring. Everybody dreams, but not everybody can relate those dreams in a way that strangers can share in them and believe them too. Hats off to the man from Texas. Next year, in Cross Plains! But I have walked a city’s street where no man else had trod. Hey all, for the summer I’m running a giveaway on Goodreads of my western novel Buff Tea from Texas Review Press. And this will take you directly to the giveaway. 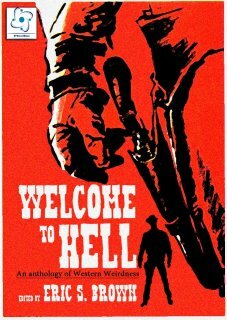 Coming at you from E-Volve Books is WELCOME TO HELL: AN ANTHOLOGY OF WESTERN WEIRDNESS, edited by the maestro of all things Sasquatch, Eric S. Brown. First take a look at this cover. I think it’s one of the best my work’s ever appeared under to date. Reminds me a still from the opening credits of a Leone movie. 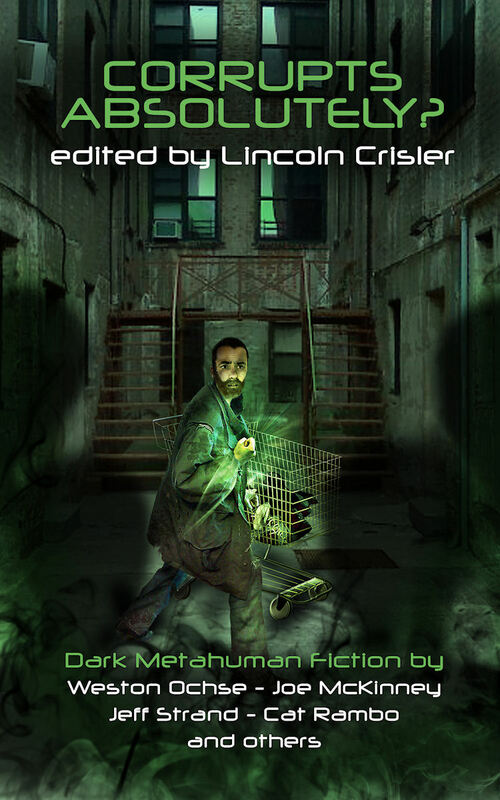 I’m told the title of the anthology is a direct reference to the words the stranger paints over the Lago town sign in HIGH PLAINS DRIFTER, a movie I’m a tremendous fan of. 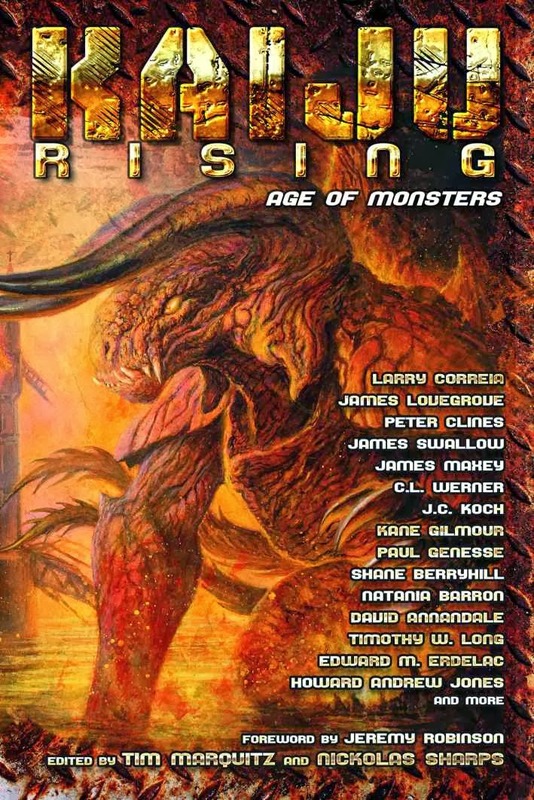 I’m in great company here – Stoker Award Winner Joe McKinney, fellow Dark Moon Books alum Max Booth III, Aaron J. French, Franklin E. Wales, Suzanne Robb and more. 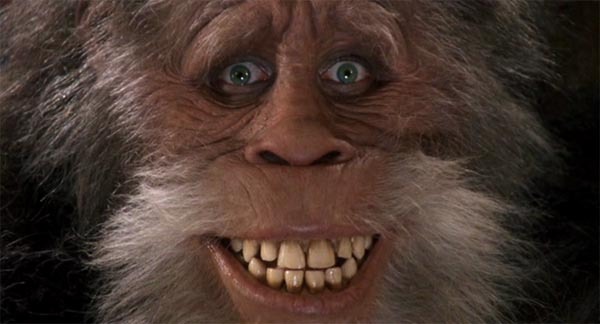 My own offering, BIGFOOT WALSH, takes place inFredericksburg,Texas around 1849. 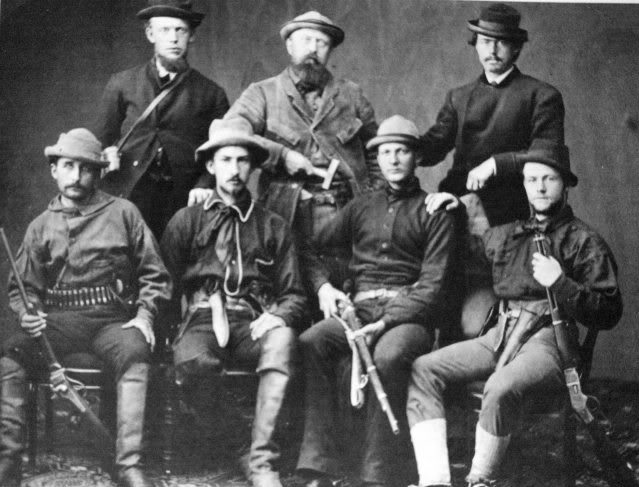 A troop of Texas Rangers rides into town seeking one German doctor Wilhelm Keidel, to accompany them. 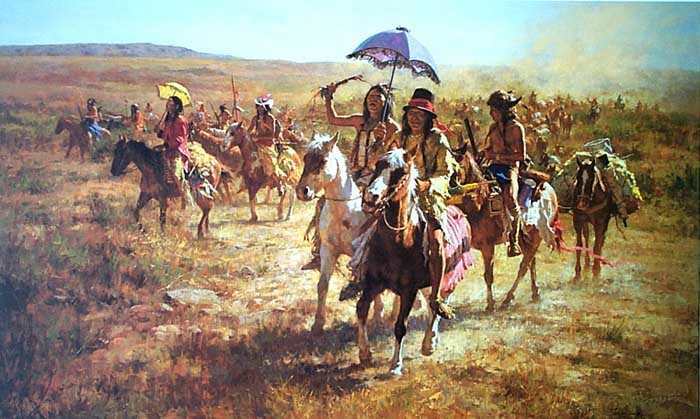 They have received reports of Comanche Indian depredations in the hill country, and want to bring a doctor along as they investigate the remote settlements in case of wounded survivors. Discovering a burned out cabin with its goods and weaponry largely untouched but its horses brutally butchered and womenfolk stolen, the Rangers are also joined by legendary Texas Ranger Lieutenant ‘Bigfoot’ Walsh (no relation to real-life ‘Bigfoot’ Wallace, though they are acquainted), a tremendously large and hairy individual who is said to be of Lithuanian extraction. He rides no horse, goes barefoot upon a pair of huge feet, and sports a Brand Rifle loaded with a broomstick lance, a weapon usually reserved for killing whales. He also dismisses the Rangers’ assertion that they are tracking Comanche Indians, pointing to a set of overlarge tracks in the mud. 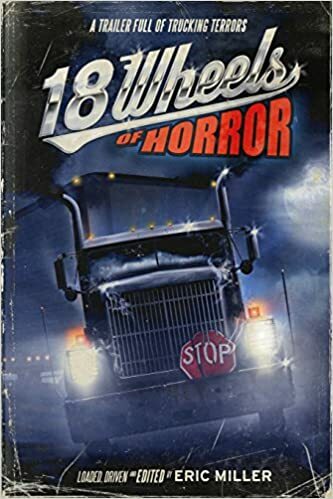 Their quarry is something altogether more dangerous, something Walsh himself has a certain connection to…. Fredericksburg is a real community, called Fritz Town by the old-timers, as it was established soon after the Mexican War by German immigrants, and named for Frederick of Prussia. Fredericksburg was interesting and perhaps totally unique in their dealings with the local Penateka Comanche tribe, in that they settled for peace early on, and enjoyed a lasting armistice the surrounding Texans did not. One cool tradition dating back to the signing of the treaty which purportedly continues inFredericksburgtoday is the lighting of bonfires on the surrounding hilltops during Easter Eve. During the negotiations, the Comanche camped on hilltops all around Fredericksburg, and their fires could be seen at night. To alleviate the fears of their children, the German mothers told them the fires were the Easter Bunny boiling eggs to be painted for the morning’s hunt. 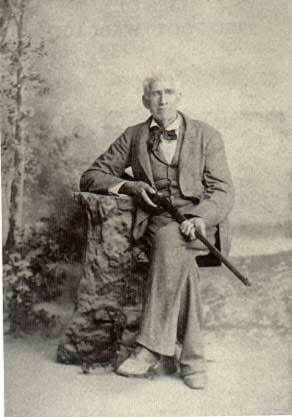 Dr. Wilhelm Keidel, who appears in my story, really was the first licensed doctor practicing in Gillespie County. A veteran of the Mexican War himself (in the First Texas Foot Rifles), he also became the county’s first Chief Justice, and founded the nearby town of Pedernales. He never refused treatment based on creed, race, or loyalty, even during the War Between The States, and was called ‘Butcher Knife’ by the Comanche whom he often treated (maybe something is lost in the translation). Chief Santa Ana (who is mentioned in BIGFOOT WALSH) of the Penateka Comanche was a modestly renowned war chief, having participated in the Council House Fight and the Great Raid Of 1840, in which the Comanches burned out two anglo cities and conducted bloody raids all the way to the Gulf of Mexico. Nevertheless, he was one of the instrumental parties of the Penateka band in the signing of the Meusabach-Comanche treaty inFredericksburg. In 1849 the Penateka Band dissolved, reportedly due to a severe outbreak of cholera (which Dr. Keidel and the Germans of Fredericksburg were also dealing with at that time). Chief Santa Ana was one of the victims, though his son Carne Muerto (Dead Meat) survived and joined the Kwahadi Band of Quanah Parker. Not afraid? You will be….you will be. The climactic scene of the story takes place on Enchanted Rock. 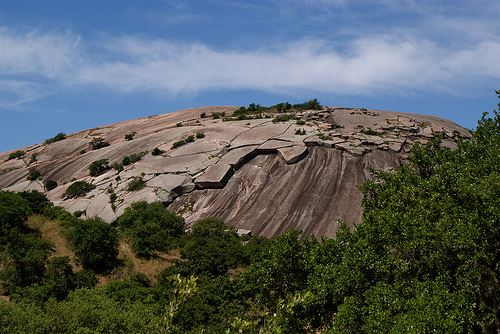 AKA Spirit Song Rock, it’s a huge pink granite monadnock where the renowned Texas Ranger Captain John C. Hays supposedly singlehandedly held the high ground against a superior force of Comanches in 1841. Legends about the area say that Comanche and Tonkawa bands held sacrifices on its summit in prehistoric days, and that it was a portal to other worlds. 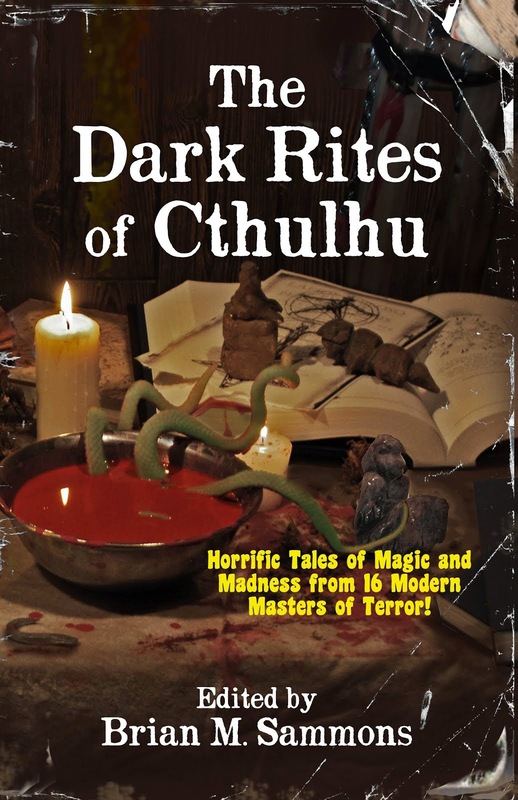 There is also a story of a Spanish priest who fell into a hole in the rock and was lost in underground tunnels for days, where he encountered hordes of mystical beings before finding his way out again. Just a few of the real life ingredients that went into BIGFOOT WALSH.Now go pick up the anthology and sip the brew I came up with. I’m told the print edition is forthcoming. 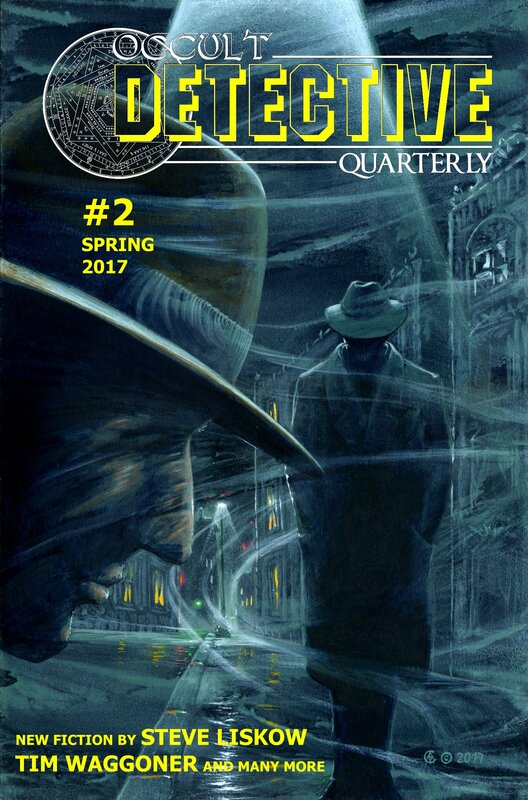 Hey all, JournalStone has released the top ten entries in its annual competition for a $2,000 advance and my effort, Terovolas or, Van Helsing In Texas has managed to wrestle a spot. ‘Following the defeat of Count Dracula, Abraham Van Helsing checks himself into Jack Seward’s Purfleet asylum, suffering violent recurring fantasies related to his destruction of the count’s vampiric wives and centering around Mina Harker. Upon his discharge, he volunteers to return the ashes and personal affects of the late Quincey P. Morris (the American adventurer who died in battle with the nefarious Count) home to the Morris family ranch inSorefoot,Texas. Van Helsing arrives to find Quincey’s brother Cole Morris embroiled in an escalating land dispute with a group of neighboring Norwegian ranchers led by the engimatic Sig Skoll. When cattle and men start turning up slaughtered, the locals suspect a wild animal, but Van Helsing thinks a preternatural culprit is afoot. Is a shapechanger stalking theTexasplains? Is a cult of wolf worshipers responsible? Or are the phantasms of his previously disordered mind returning? Anyhow, doesn’t mean I’ve won anything, but those of you who know me personally know my family and I could sure benefit from it if I did…haha. Wish me luck/say a prayer. As promised, here’s an excerpt from my forthcoming historical novel, Buff Tea. Monday Loman – a religious minded mule driver from Kansas. 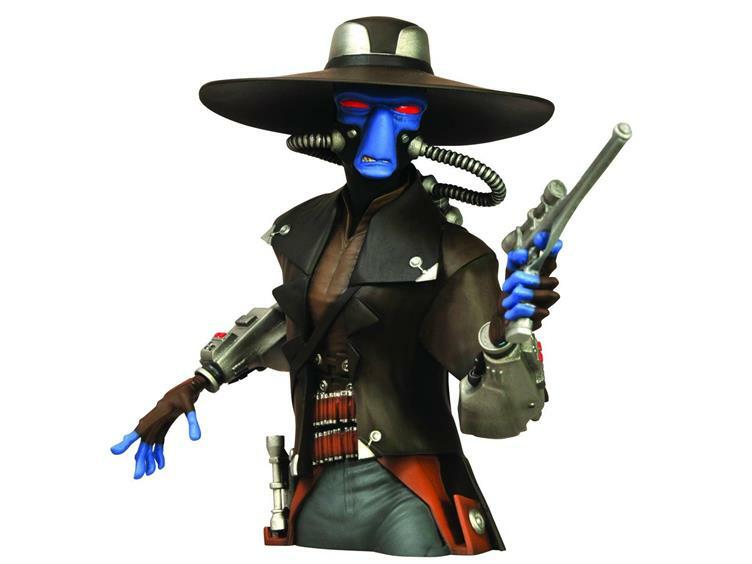 Fuke LaTouche – a brash young hunter from Baton Rogue. 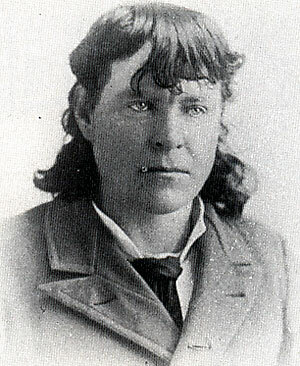 Fat Jack McDade – a superstitious Missouri Ozark man and buffalo skinner. He keeps a three-legged cat named Whisper. Frenchy – a somewhat sadistic French skinner and ex-sailor. 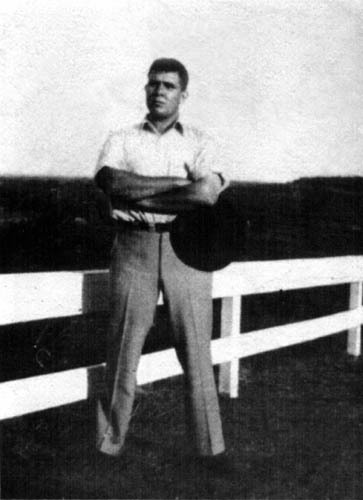 Roam Welty – an African American ex-Army scout. War Bag Tyler – the grizzled old boss of the outfit. The Weather Turned quite suddenly one morning. It was fine climate for drying hides, but not for men. The summer heat panted on our backs like a tired dog. Fuke was of a sour disposition for a few days after losing Napoleon. He repeatedly offered to buy our horses from us, but nobody wanted to ride shotgun in the bull wagon with Jack anymore than he did. 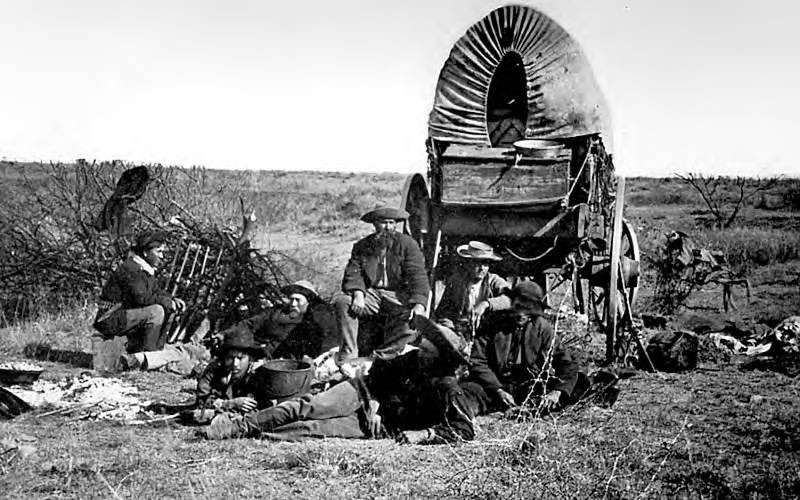 Boredom overtook us, and there was little to do after we had finished our work but sit under the wagons and watch hides tan and meat cure. Insects flitted through the dry grass and dropped dead when they got too close to the arsenic. This was an endless source of amusement for Frenchy, but did not prove very engaging for the rest of us. It seemed that the time to pack up camp and move on could not come fast enough. 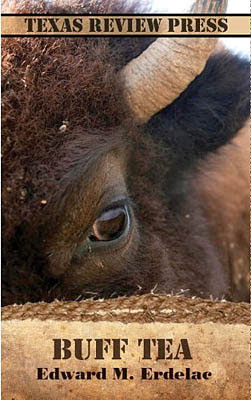 A week passed and we saw no more buffalo, nor any sign that they had been south of the Wichita Forks. There had been talk of turning back north, or west. War Bag’s argument was that there was little sense in going over the same ground. Roam was for going back, but I think it had more to do with his chronic unease aboutTexasthan anything else. We awoke one morning to find Jack unpacking his rain gear, though the sky was unclouded and bright. 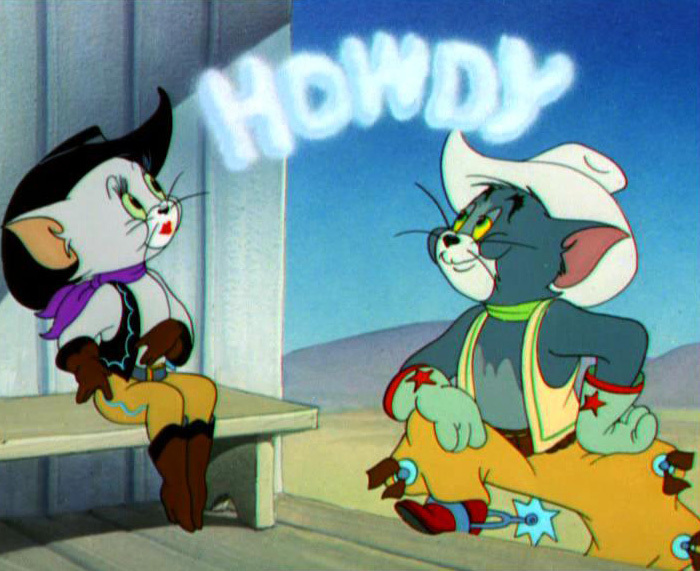 “Redneck hocus-pocus,” Fuke told Jack sleepily. He rose and kicked at the three-legged cat out of spite. But by noon clouds were drifting in from the northwest, and a cool wind ruffled the grass. It would be the first real rain we had seen all summer. There had been overcast days, but the heavy clouds had always passed over and dropped their burden elsewhere. This time it would be dead on. It turned out to be a real frog-choker. The land and the sky went gray and old with it, and we were soaked to the toes of our boots before we could scurry for our rain gear. Roam found his tunic, Fuke his capote, and the rest of us donned buffalo coats (all save Fat Jack, who smiled and said nothing, the water running off his oil coat). 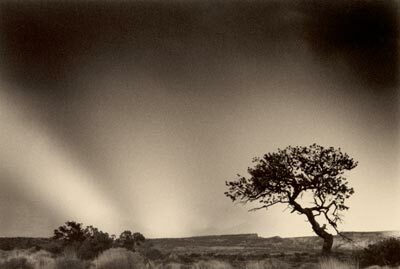 It was a hard rain, and the sound of every drop striking the earth rolled over the land like an ovation. The ground turned to mud, and the going got slow and hard. By three o’clock the tempest died down to a light sprinkle that would have been pleasing had we not already been drenched. There was a peaceful stillness over all the faded landscape. The animals shook the water from their bristling flanks. On days like these back home I would walk along the lake shore with the collar of my topcoat turned up, and watch the thousands of tiny drops erupt on the surface of the water. “It’s proof of God,” Monday told us. His face was very white against the drab sky. “For being such a pulpiteer, how’d you end up with that pagan name –Monday?” Fuke asked. “Were you born on a Monday?” I asked. “It was a Sunday,” he answered. “No doubt you were dropped in a pew and reached for the hymnal before the nip,” Fuke said, chuckling. I pulled a blanket from my saddlebags and wrapped myself in it. My nose was red and cold, and I shivered in the saddle. I found Stillman Cruther’s red wool muffler and tied it over my face. That helped some, but then my nose began to run. Winter had given Fall a jump and our knuckles trembled as they gripped the wet reins. The wind picked up and whipped about our legs. “Still think this is the good Lord’s work, Monday?” Fuke muttered. He had taken to riding with the muleskinner, saying Scripture talk was a sight better than listening to Jack go on about his queer superstitions. Monday did not answer. His mules out front were troubled, braying and shaking their heads in the harness. They had not made a sound at the approach of the storm, yet now in this chill wind they seemed tense. He spoke to them, too low for anyone with short ears to hear. I craned my neck up, feeling the rain on my face. 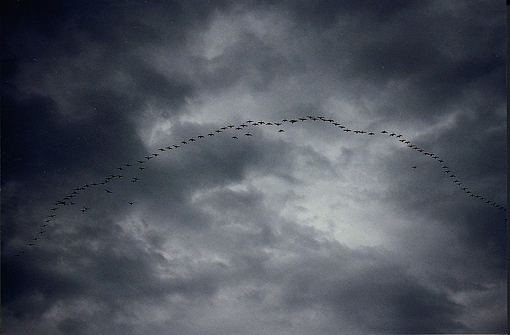 A flock of geese were cutting madly across the murky sky, buffeted by the wind. Then I saw something odd that I never will forget. The entire sky lit up with a crazy, twisting chain of lightning. It flashed out like a bullwhip and in an instant struck in the midst of the flock. They were burned on my cornea, little white ‘ems’ silhouetted against a purple flash, as of a photographer’s powder. There was a weird honking cry and a tremendous crash of thunder. Then twelve or fifteen of them dropped lifeless and blackened from the sky into the wet grass all around us like great, feathered hailstones. My mouth fell wide open. Fuke was the first to laugh. He fairly leapt from the wagon seat and stumbled into the swampy grass where two dead geese lay smoking. The smell was an acrid mixture of rain, static, and burnt meat. Fuke gingerly reached out and grabbed them by the necks, withdrawing his hand quickly, unsure. Then he snatched them up with aplomb. He lifted one in each fist and stood smiling. We all laughed, exhilarated by the unnatural occurrence and warm with the knowledge of a couple of cooked goose dinners for the coming week. Jack did not seem so happy, though, and shook his head. Fuke rolled his eyes as he returned to the mule wagon with the two dead geese. Jack scratched his head gravely. 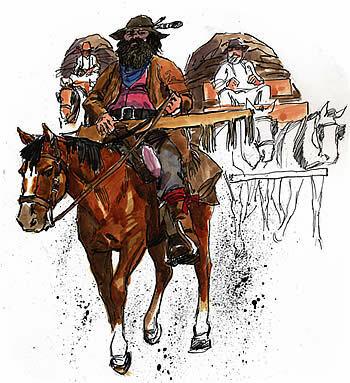 “Well I’ll be damned rather than look this gift hoss in the mouth.” He plopped the two fat birds up into the wagon bed. We paused and gathered up what geese were worth it into the camp wagon. Monday agreed to sit in the back and pluck them if Fuke would take the reins for awhile. Fuke assented, but his command of Monday’s mules proved less than masterful, and they soon fell behind. We could hear him cursing the animals through the rain. Gradually he grew hoarse or tired. I fell back to keep an eye on them, and rode in their tracks. A little trail of blackened feathers began to flit from the back of the wagon and float between the ruts, as Monday went to work. 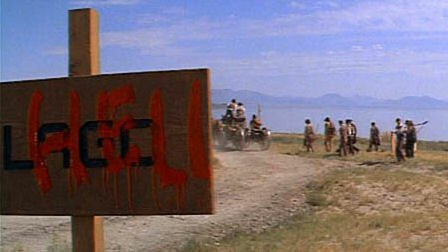 I frowned at the sight of them, for I was reminded of the turkey feathers we’d seen outside the pumpkin rollers’ camp. The chill wind died out. The rain continued on for another hour, and we dozed in our saddles. Jack sang a low song as he drove the bulls on, and the creaking of the wheels and the rocking motion of Othello grew hypnotic. I tried to make out Jack’s words, but the melody was inseparable from the lyrics. My eyes were as heavy and I flinched awake several times before giving up the battle and slouching in as comfortable a manner as I could muster. I slept. Jack’s wordless singing was the last thing I heard. It was one of those naps that seem to take place in an instant. When I snapped awake, Jack’s singing had stopped. The rain was gone. Further, Othello had stopped to crop the wet grass. Shaking myself awake, I saw that there was no one in sight. The gray prairie stretched out empty all around me. I had heard the phrase lost ‘without a trace,’ but never truly understood the meaning of the words. I thought it was reserved for the snowblind and those unfortunates who fell overboard at sea. Yet here I was, as lost without a trace as a man could be. I had fallen behind and no doubt my comrades had continued on unawares. I thought to resume my traveling with a nudge to Othello, but who knew if the horse had strayed from his course as I slept? There were no tracks to follow (not that I could follow them anyway), no easily spotted wagon ruts. All around me was the empty gray stillness of the rain-soaked prairie, a boundless, gate-less Purgatory. I remembered Roam’s advice not to go looking, but I saw no evidence of the wagons. That terrified me. I turned in my saddle. There in the grass were the almost imperceptible tracks of Othello. Would Roam be able to find them? Perhaps my absence had not even been noticed yet! How long had I been asleep? I could see mosquitos flitting up from their grassy shelters. The hair on the back of my neck prickled. I couldn’t very well just sit here until night came. I thought of Roam’s advice about firing a rifle into the air. I had my Volcanic pistol. In the storm I would have had no chance to be heard, but in this stillness, I found a hope and grabbed it. I fished under my coat and prayed that the powder wasn’t wet. I pulled back the hammer, pointed the pistol skyward, and squeezed the trigger. I was almost startled by the ensuing shots. I had not truly believed until then that the gun would work. I lowered the pistol new with respect. It was a thing now alive in my hands, its acrid breath dissolving in the cool air. I waited. I was ecstatic to hear in the distance (from which direction I could not readily ascertain), the reports of a rifle in answer. 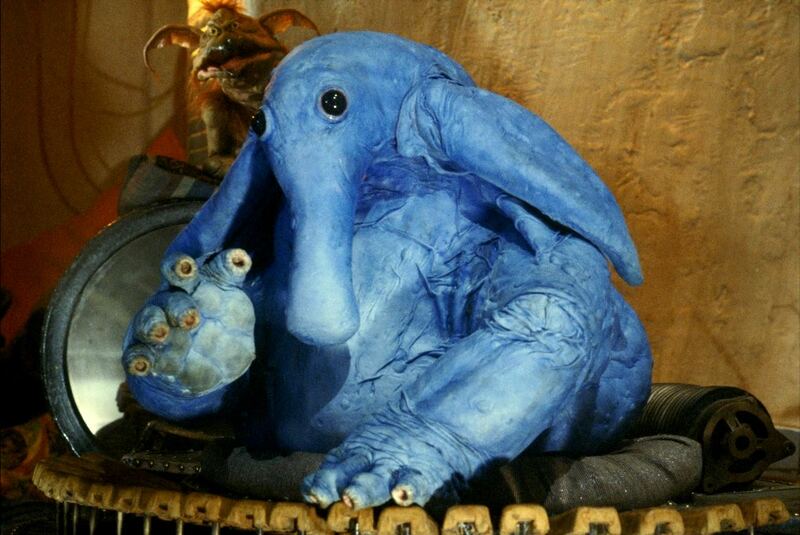 I had not slept so long nor strayed so far as I had feared! It seemed to me the shots had come from nearby. I raised my Volcanic again and fired, unable to contain the smile on my face. In a few moments there was another answering shot, closer, and off to my left. I turned Othello to face that direction and stood in the saddle to see. There was a low dip in the land about a hundred yards out. Then there was another shot, and I saw the smoke flitting in the air. Roam came up over the rise. Though it was hard to make him out, I recognized his dark skin, his spotted piebald, and his union blue coat. As he appeared, he fired another shot. I waved my arms happily at him, grateful to have been found. I was still advertising myself like a fool when a bullet creased my right cheek. It had sounded like a fly in my ear, and I had mistook the sharp pain for a mosquito bite. I slapped my hand to the cut, and when it came away, the palm was red with my own blood. As I pondered the significance of this, another bullet struck the earth beside Othello with a wet plop. With a revelatory tremor, I realized that the black man on the piebald was not Roam Welty. 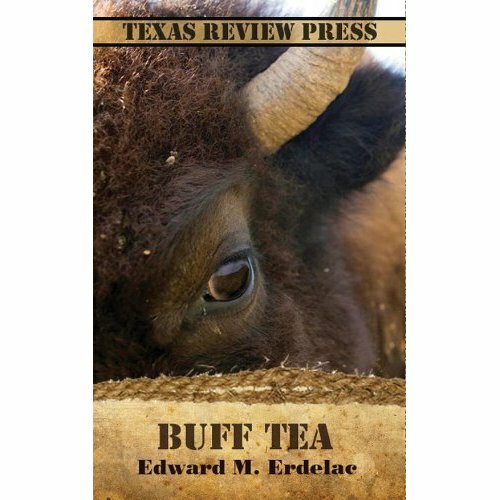 Buff Tea is up for preorder now from Texas Review Press and on Amazon. There will be a Kindle edition somewhere down the road.